Our intelligence agencies are totally honest and would never tell a lie, but if you question them in any way "they have six ways from Sunday at getting back at you," so says Senator Chuck Schumer. 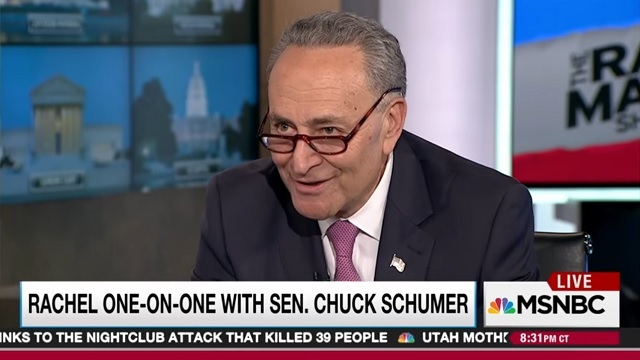 “Let me tell you, you take on the intelligence community, they have six ways from Sunday at getting back at you,” Schumer told MSNBC's Rachel Maddow. This is what happens when these criminals go off script. Their inner terrorist nature comes out and you see their first response to every problem is to use threats and intimidation. The CIA has a history of killing political opponents. I'd say this is a straight up death threat which demands a criminal investigation.